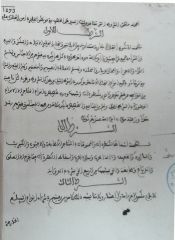 In relation to trade policy, Mulay Sulayman opposes the liberalism of his father Muhammad Ibn ‘Abd Allah by passing an edict in 1814 imposing a 50 per cent duty on imports, and takes restrictive measures by banning the export of most Moroccan commodities to Europe, including grain, oil, wool, animal hides and livestock. The years of drought and swarms of locusts that devastated all crops between 1810 and 1816 caused a shortage of basic commodities, price increases and famine, on top of the plague epidemics that swept the country. All of these factors necessarily weakened the country financially and demographically. This could help to explain the inward-looking policies adopted by the sovereign Mulay Sulayman, who—according to some historical sources—claimed that he did not need Europe and hoped that Europe did not need him. 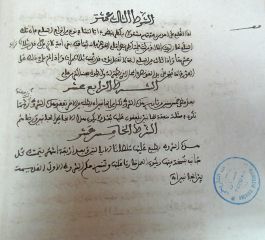 A desperate and exhausted Mulay Sulayman resigned and chose his nephew Mulay ‘Abd al-Rahman ibn Hisham as his successor. At the beginning of his reign, Mulay Sulayman adopts a policy to isolate the country, excluding contact with the European and even Turkish worlds. He leant on the national brotherhoods and maintained mediaeval, feudal ways of life that eschewed Western technical innovations which he deemed to be dangerous. He nonetheless signed agreements with Portugal in 1823, England in 1824 and France in 1825, under pressure to change his position on account of the international situation. 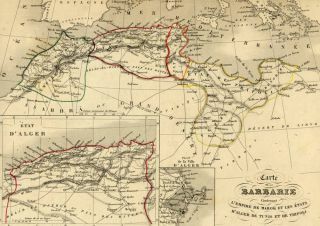 During the first third of the 19th century, Morocco was subject to systematic pressure from rapidly expanding European imperialism. The French expedition to Algeria arouses strong emotions in Morocco. It was understood to be a direct threat, in particular following incursions by French troops into eastern Morocco. 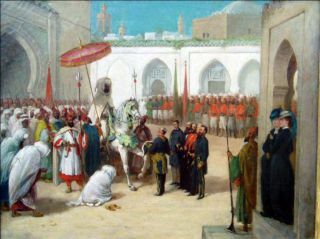 Mulay ‘Abd al-Rahman accepted the call of the people of Tlemcen and gave his support to the religious and military leader ‘Abd al-Qadir. The Battle of Isly is fought on 14 August 1844 between the Moroccan army employing an archaic strategy against professional soldiers trained in the Napoleonic campaigns and armed with batteries of light guns. The battle ended with the defeat of the Moroccans. The consequences of this defeat were grave for Morocco. It was the first time the country had lost a battle in more than two centuries, and it showed Mulay ‘Abd al-Rahman just how weak his army was. 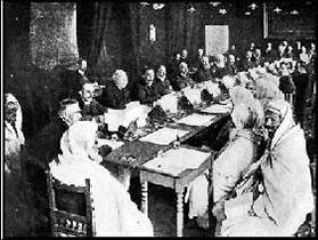 In 1856 a treaty is signed, initiated by Britain in order to strengthen its influence over Morocco and to maintain its naval supremacy in the Mediterranean, which hugely undermines Moroccan sovereignty. This treaty wrested control over the extent of European penetration away from the governing institution of Morocco the Makhzen. 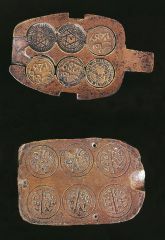 The advantages gained by European traders, combined with their superior technique and the quantity of capital behind them, enabled then to monopolise most of the sea trade and to reduce Moroccan players to mere intermediaries. The Tétouan war of 6 February 1860: the Spanish, seeking to extend the borders of Ceuta and Melilla, exploit a raid by a neighbouring tribe against a redoubt built outside the walls of Ceuta to launch a major military action and occupy Tétouan. 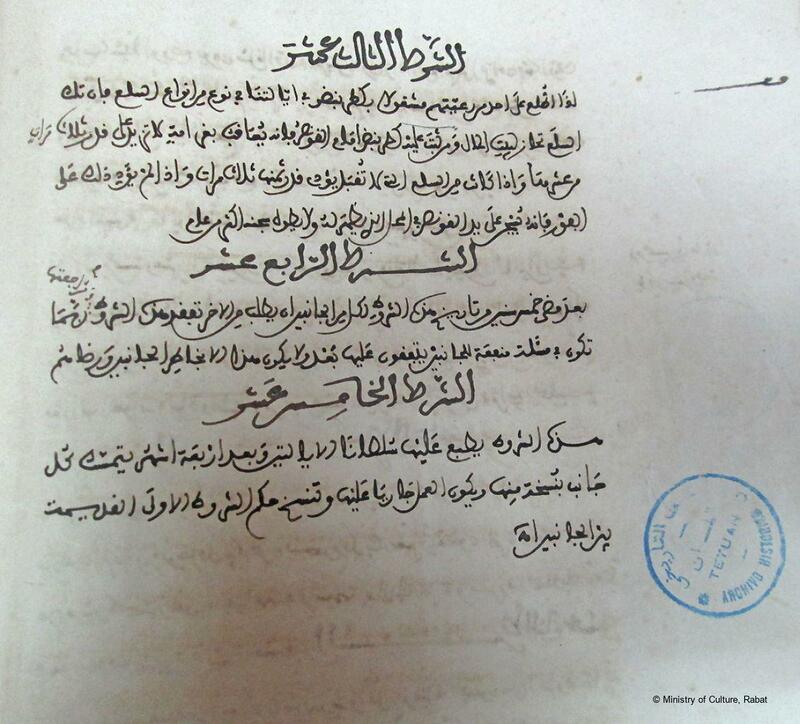 To end the occupation of Tétouan, the Moroccan state was obliged to pay a significant sum (20 million douros), which it was unable to do. As a result, it was forced to seek a foreign loan that it was able to pay back using customs revenues. Reign of Muhammad Ibn ‘Abd al-Rahman: with a view to overhauling the machinery of administration, Muhammad IV creates an administrative school, the Madrasa Makhzenia, and proceeds to modernise financial and tax services. He also thought about modernising the army, both in terms of soldier training and equipment. This was eventually achieved by his son Mulay al-Hasan I. The intention of the trade treaty signed with France in August 1863 is to curb the damaging effects of protectionism and to limit the extent of European penetration but, subverted from its original purpose, it becomes one of the causes of the protectionism problem. 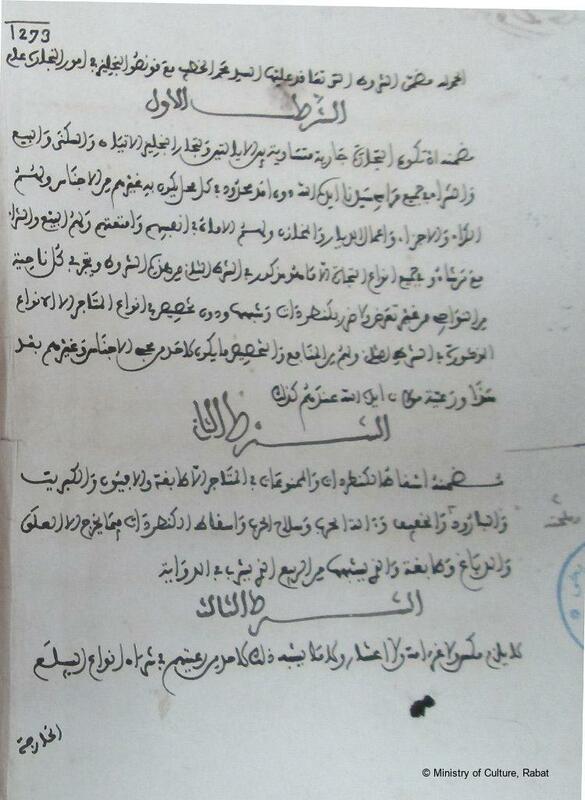 The Dahir of June 1864 then proclaimed freedom of trade throughout the Sharifian Empire. The conventions of 1856, 1860–1 and 1863 established the legal bases for relations between Morocco and Europe. Europe’s influence then began to grow. Reign of Mulay al-Hasan I: Mulay al-Hasan I maintains the political independence of the country. He attempted to adapt the country to its new circumstances and employed a policy of reforms, affecting all areas of political and economic life, to improve the management of public affairs. The intention of the 1880 Madrid Conference, reflected in the agreements signed by Morocco under the reign of Mulay al-Hasan I and the countries of Europe, is to enhance the benefits of reform in Morocco and to provide a legal and regulatory framework for Mulay al-Hasan I. Following these agreements, the European countries won the right to own land and assets throughout Morocco. 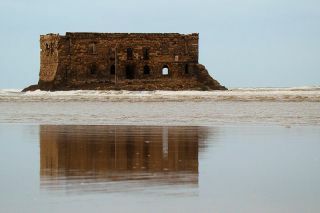 The agreements were the result of globalisation of Moroccan business.